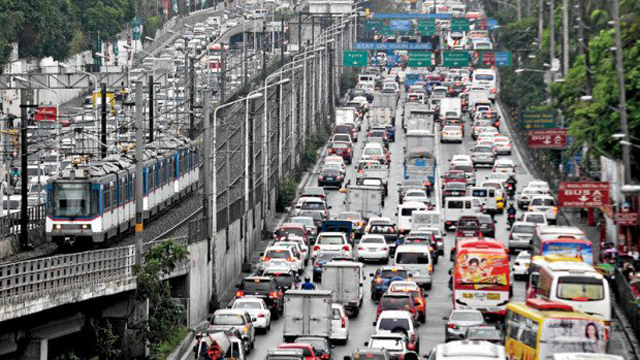 (SPOT.ph) EDSA and SLEX aren't the only traffic hellholes that commuters in the Metro have to go through every day. 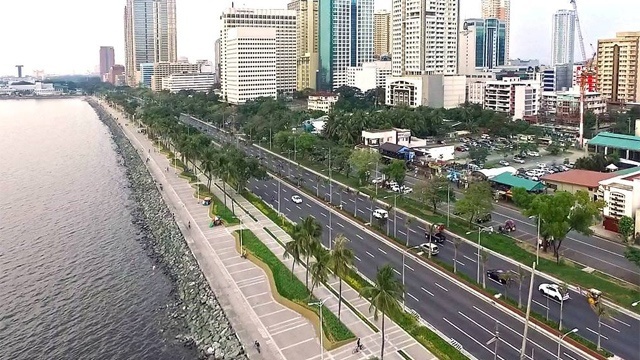 There's also the plague that is Marcos Highway, which seems to be dotted by an infinite number of malls. On top of that, the construction of the LRT Line 2 extension feels like it's taking forever. 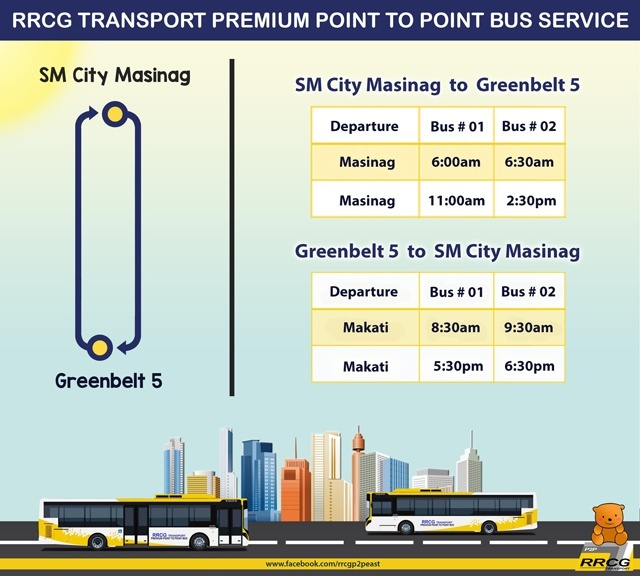 So the new P2P route from SM City Masinag in Antipolo City, Rizal to Greenbelt 5 in Makati City couldn't have come at a better time. The new non-stop route was launched by RRCG Transport in coordination with the Department of Transportation on April 17. 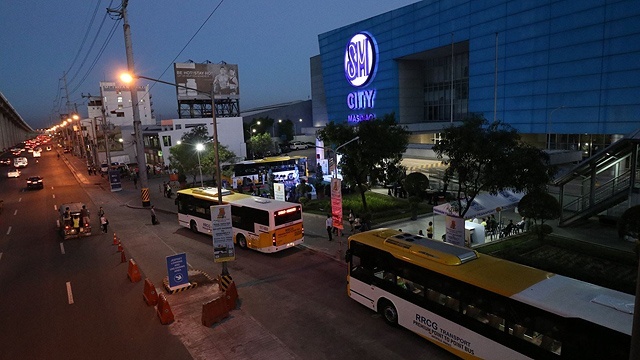 Buses from SM Masinag depart at 6 a.m., 6:30 a.m., 11 a.m., and 2:30 p.m.; while buses from Makati leave at 8:30 a.m., 9:30 a.m., 5:30 p.m., and 6:30 p.m. daily. Fare is at P60. For updates on P2P bus routes, follow RRCG P2P Bus on Facebook.